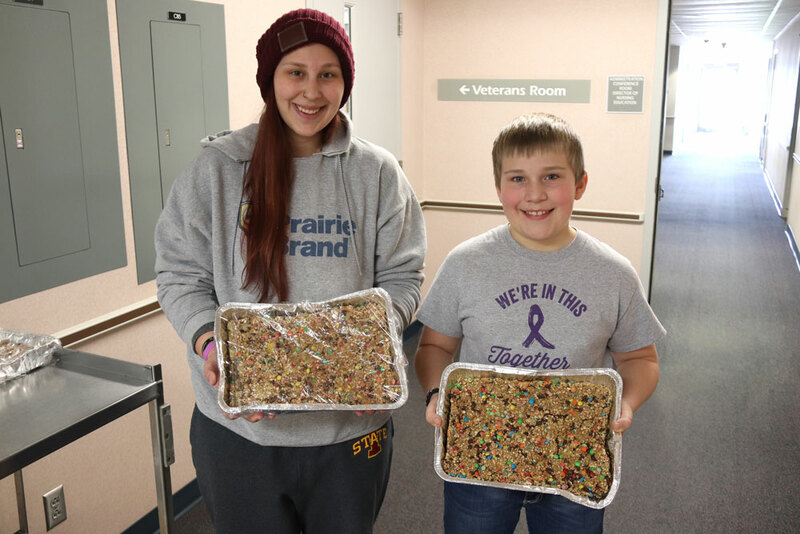 Ty Hejna always loved one of his mom’s favorite recipes — monster cookie bars. So he made a big batch this week and brought them to school on Friday so his classmates could share in the tasty treat. 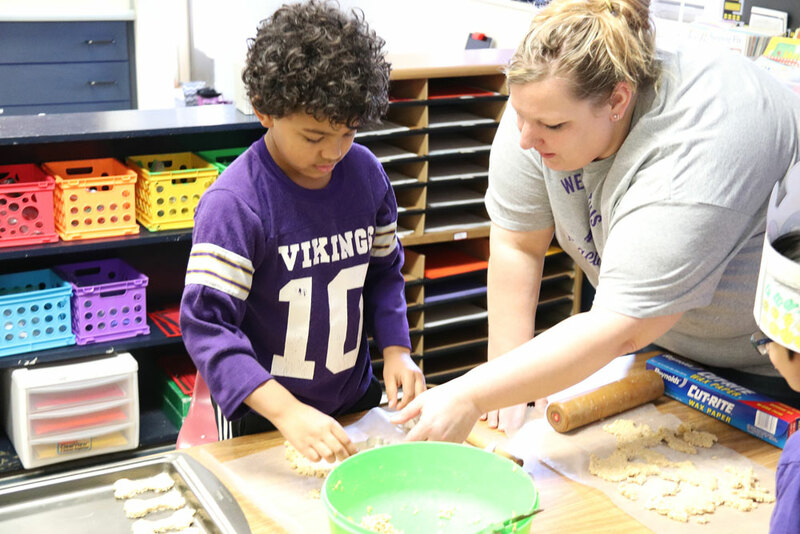 Hejna, a fifth-grader at Immaculate Conception Catholic School in Charles City, did a lot more than just share the sweet confections with his fellow students. 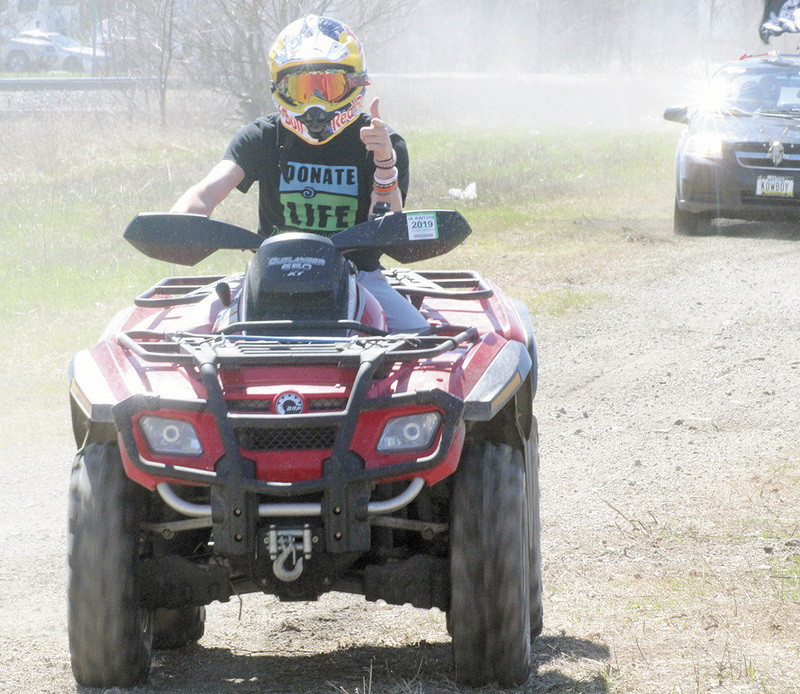 The bars were all a part of “Ranae Day,” an effort to honor his mother, Ranae Hejna. Ranae, the mother of three children who all attended IC, died last August at the age of 45 due to pancreatic cancer. “We wanted this to happen to help Ty — to support him. It was a way that he knew he could remember his mom with a smile,” said IC Principal Laurie Field. 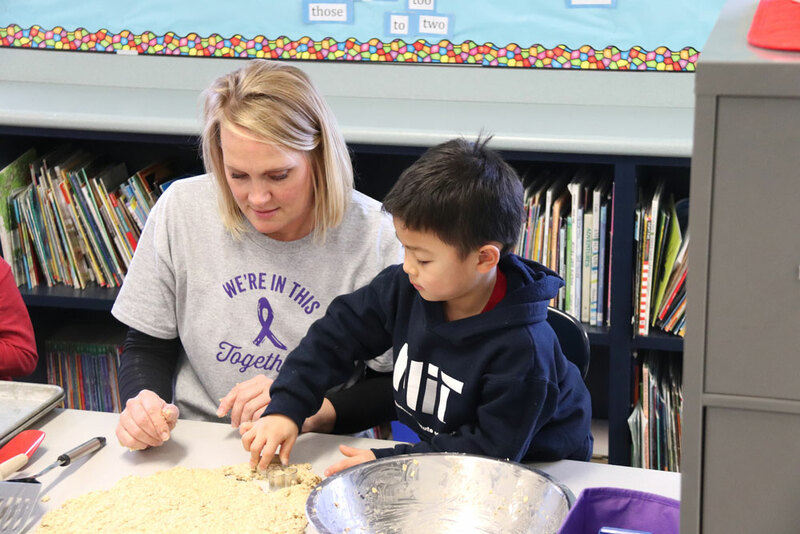 The day to honor Ranae included IC students from kindergarten to the second grade making doggy biscuits and care baskets that were sent to PAWS Humane Society. 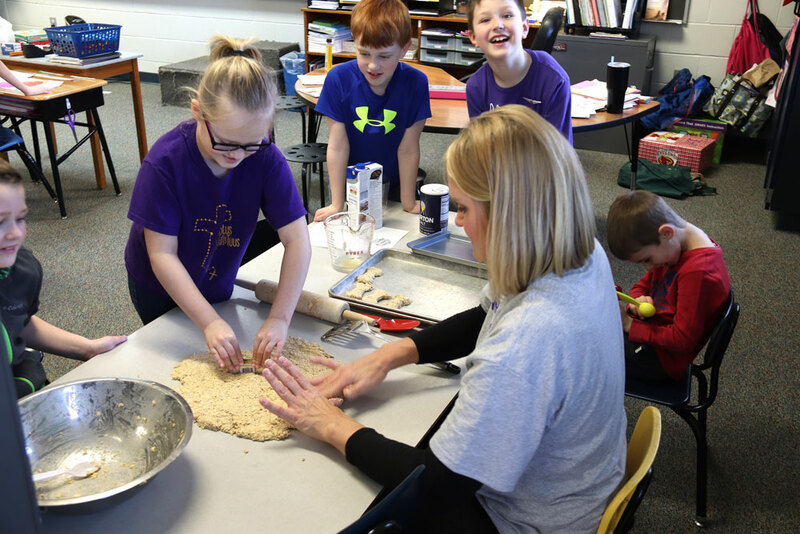 Third- and fourth-grade students made Valentine’s Day gift baskets that will help brighten the day for residents of Apple Valley Assisted Living in Charles City. Fifth- and sixth-graders at IC also took a tour of the Floyd County Medical Center where Ranae worked in the lab department. The hospital received care packages that consisted of water bottles, Chapstick, hand sanitizer and granola bars, among other things. Ty’s older sister, Bailee Hejna, 22, also supported her little brother and made the visit over with his classmates. She was 12 years old when Ty was born, so she is used to taking on responsibilities that mothers often do with their children. Bailee said she was thankful that all involved on this special day joined forces to honor her mother. She said losing someone close to you is never easy, but through the closeness of her family and others helping out, Bailee said they’ll get through the hard times. “It’s tough. 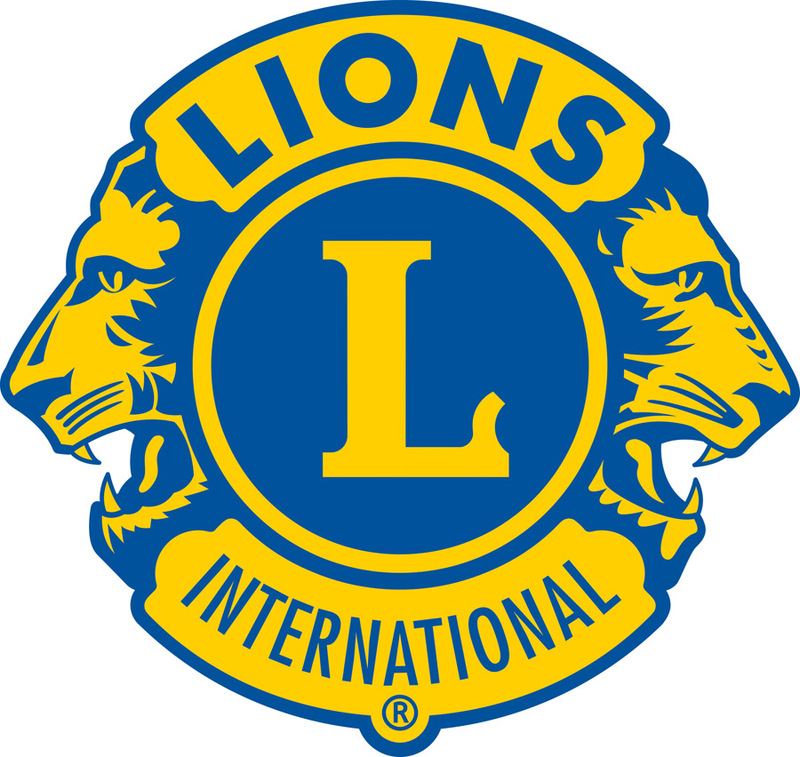 We do what we can. I’m glad that school is so supportive and the hospital for allowing them to come to her,” said Bailee. Ty didn’t rule out another “Ranae Day” next year when he is a sixth grader. 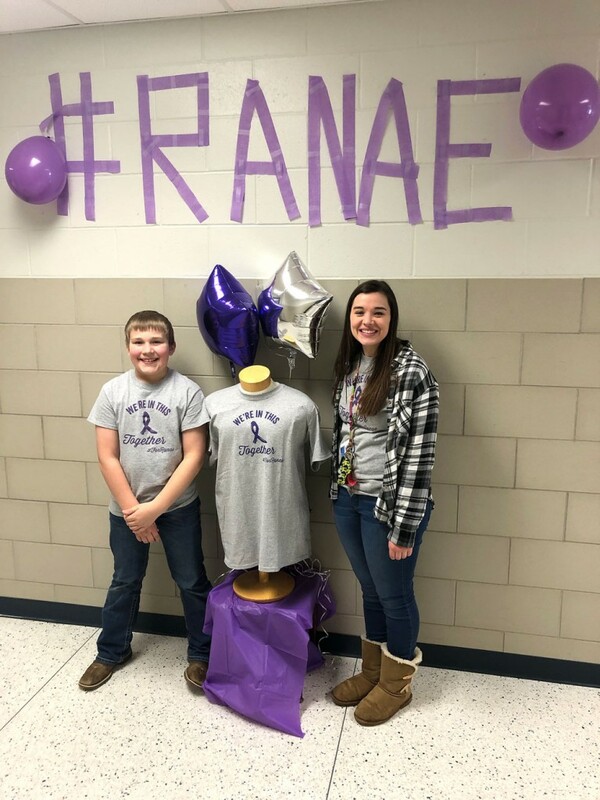 Many students wore gray and purple T-shirts in remembrance of Ranae that said “We’re in This Together,” #ForRanae. There were also purple balloons on display at the school as well. Purple is the color to bring awareness to pancreatic cancer. 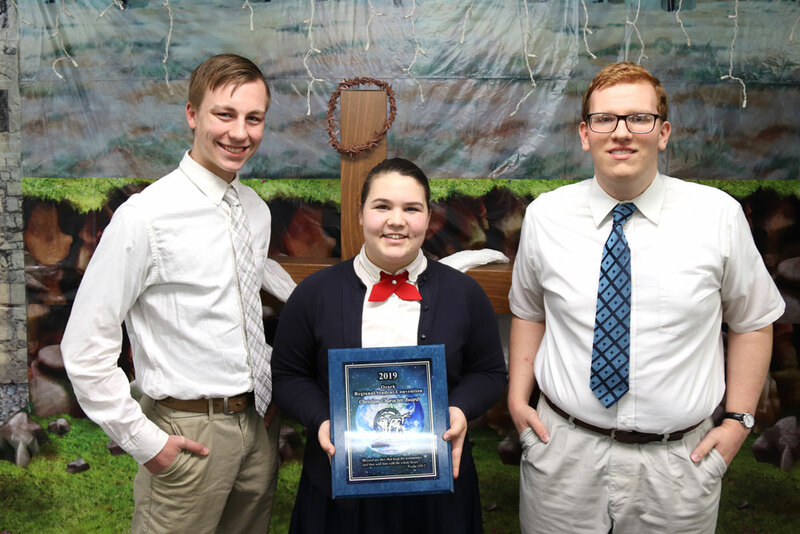 “Ranae Day” was supposed to take place Jan. 30 during Catholic Schools Week. Extreme arctic temperatures canceled classes for all but Friday at IC that week. Ty said he was was very happy that classes weren’t called off this past week so he could take part in a day that he had been planning for months. Principal Field said Ty spoke to every class at IC about the special day to remember his mother and what she meant to him. He even had a Powerpoint presentation. The chance to set aside a day for Ty so everyone at IC could rally around him and still help out others was an easy call for Field and all faculty members. “Hopefully it’s helping him heal,” Field said.